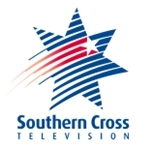 Southern Cross Austereo has announced that its Southern Cross Television brand will become Seven from 1 July. 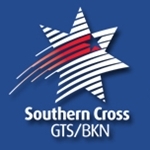 The change affects Southern Cross Television in Darwin, central Australia and Tasmania and Southern Cross GTS-BKN in South Australia — all Seven Network affiliates. 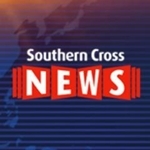 Southern Cross News in Tasmania will become Seven News Tasmania. No changes to staffing are expected and the stations will continue to be owned by Southern Cross Austereo. 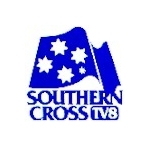 The change essentially marks the end of the Southern Cross brand on television which has existed in various forms across the central and eastern states since being launched by Victorian regional stations BCV8, GLV8 and STV8 in the early 1980s. 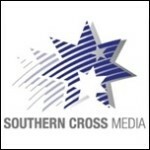 Two years ago, Southern Cross’ regional outlets in Queensland, Southern NSW/ACT and Victoria all changed program affiliation and branding to Nine. Reason: The television market in Australia has changed out of all recognition since aggregation was first implemented in the late 1980s; therefore it doesn’t make sense anymore for any of the Australian commercial TV networks to have even just 2 (let alone 3 or 4) different names all over the country (that’s in the official view of executives, at least). Not sure if this is the right place but hopefully it will find the right channel. I am getting sick of the ad regarding Port Pirie thing’s about to change Advert. I Have to turn the volume down every time is comes on.